The surf expo was awesome! We just finished wrapping up and not only did the whole team have a lot of fun attending the show, but we also spoke to a lot of people. 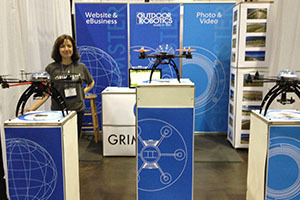 The response to Grimmster Outdoor Robotics was great and a lot of people are excited about becoming Outdoor Robotics Dealers. We would definitely call this show a success! Because of the overwhelming response we received we will be back at the Surf Expo in September 2014. The whole team is already looking forward to it and we can’t wait to start designing our new booth for the show. 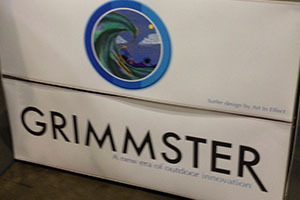 Thanks to all of the Grimmster Outdoor Robotics fans and team members for your support. You’re the ones who made this show such a success for us and we couldn’t have done it without you! 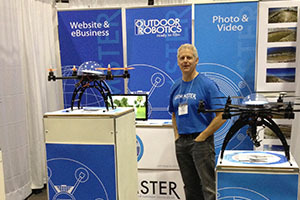 Make sure to contact us if you’re interested in our next hands on Outdoor Robotics Demo Day. Space for the event is limited so make sure to contact us as soon as possible to ensure that you can get signed up. Take a look at the video below to see a full wrap up of the Surf Expo.